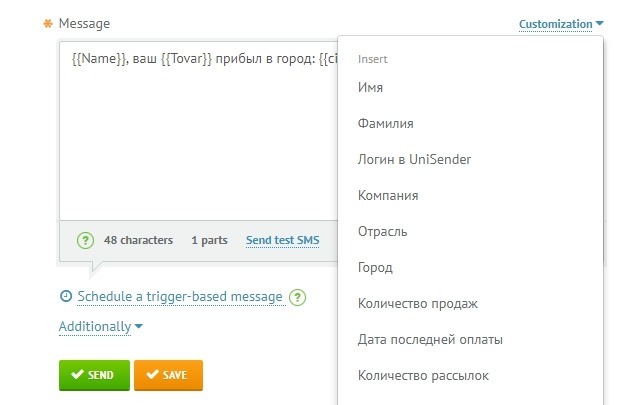 Automate your SMS campaigns according to time, subscription and other events. 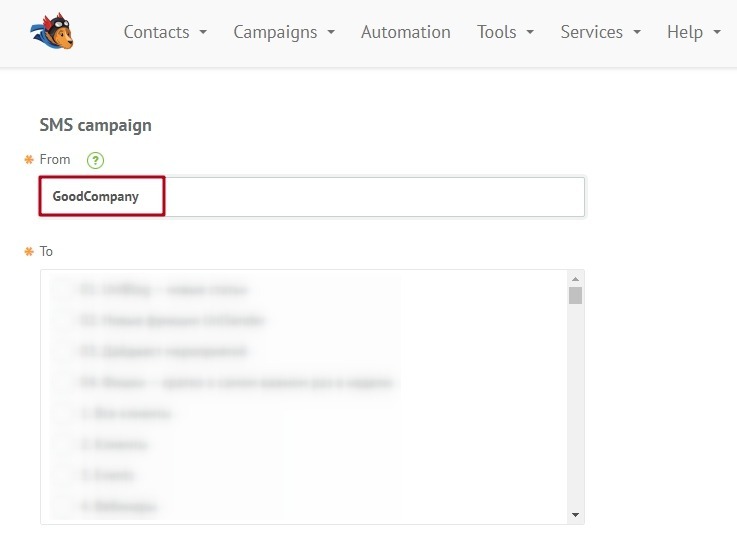 Connect your site, store or CRM and create auto campaigns. We store your data on servers in certified data centers of security class TIER3. Our team will help you with your email strategy and campaigns. Transactional letters for your business. 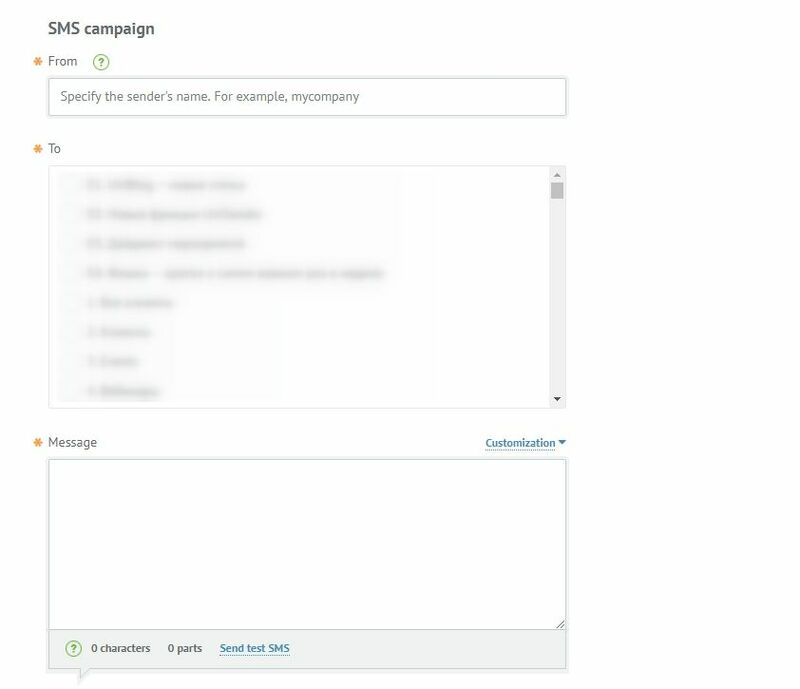 We will create a universal template for email campaigns. It will be displayed well both on phones and in all email services. 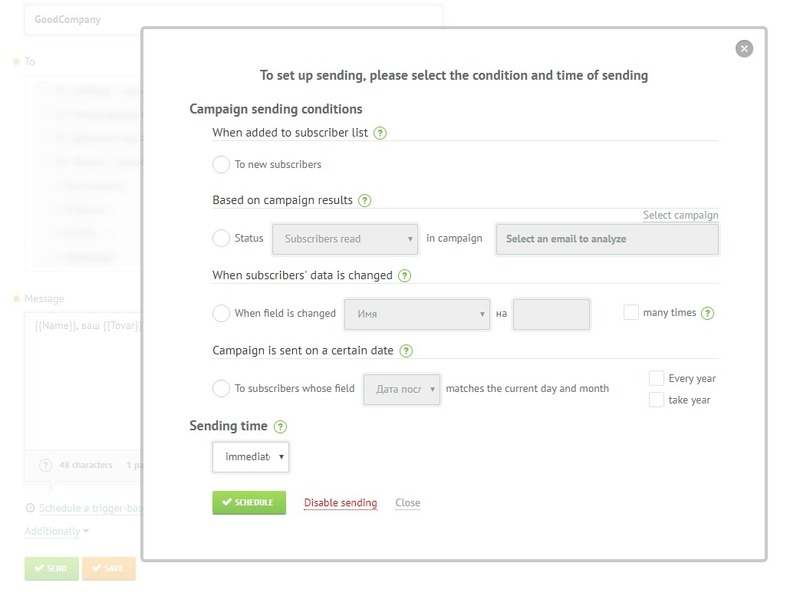 Our experts will send your email campaigns due to the monthly plan. We will create an automated sales system of emails for your business. It will increase your average cheque. We will reanimate potential buyers who added the goods to the shopping cart, but failed to complete their purchase.